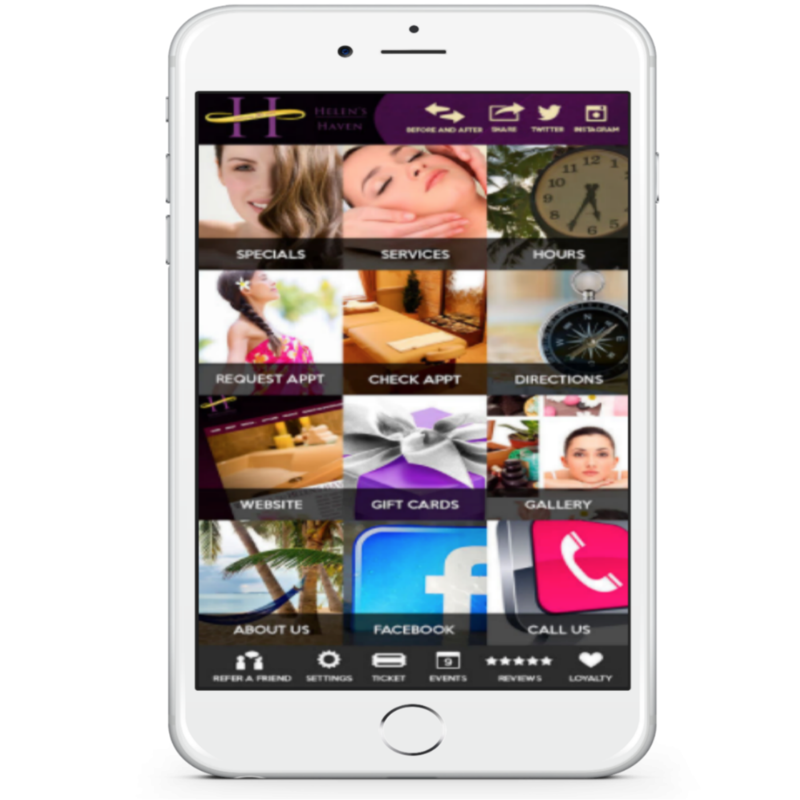 You can bring the aloha spirit of Helen’s Haven Integrative Medical Spa directly to your phone with our free, convenient mobile app! It lets you make appointments, connect with our team, and much more, all from the convenience of your phone. Making appointments has never been easier. You can select the perfect time for you and book the appointment right on the app. You’ll receive a confirmation quickly, and you can provide extra details that let us know exactly what you need on your appointment day. You can browse our entire menu of spa and medical spa services in the palm of your hand, meet our team, and read client reviews from people just like you who have experienced our unique, integrated spa. You can also view our gallery, full of photos of the spa and before-and-after photos for the many treatments we provide. The app also keeps you up-to-date on our latest specials. Get direct access to the blog right on your phone. We’ll keep you posted about all the latest anti-aging and beauty treatments, skincare tips, and other important information. A Helen’s Haven gift card is the perfect gift for anyone on your list, and you can purchase a gift card directly from the mobile app. Gift cards are redeemable for both products and services, so your friends and family can choose the perfect gift for their individual needs. You can download the mobile app for free at the AppStore, Google Play, and Amazon. For those who prefer to consult with us in person, visit our spa at 4819 Kilauea Ave., #6 in Honolulu, or call us at 808-739-0400. At Helen’s Haven Integrative Medical Spa, our core principles celebrate the island’s traditions of aloha (love and compassion), lokahi (unity and balance), mahalo (thankfulness), ohana (family), and malama (caring for you). Helen’s Haven is the place to relax and to meet all of your personal skincare goals.